Jimmy Carter may have delivered arguably the quintessential American experience. Graduation from the U.S. Naval Academy; a hitch in the U.S. Navy, serving under the wing of Admiral Hyman Rickover; returning to civilian life to take care of the family peanut busines; a failed run for Georgia governor; a succesful campaign for the same office; a return to private life; then a successful run for president of the United States of America. He would serve a single term. Fate intervened in large part to deny him a second term. That occurred in November 1979 when Iranian "students" stormed the U.S. embassy in Tehran; they took 52 Americans hostages and held them captive until the moment Ronald Reagan took the presidential oath on Jan. 20, 1981. "American Experience," PBS's highly watched documentary series, looks back at Jimmy Carter's remarkable life and public service career. It is streaming online and the link attached to this post contains a trove of film and information about this amazing politician. As "American Experience" noted in a statement about the segment: "Over the subsequent two decades, he became one of the most admired statesmen and humanitarians in America and the world." The segment is part of the documentary's "Presidents" series. The former president revealed just the other day that he is suffering from cancer. Doctors found it while performing liver surgery and told the ex-president it had spread to other organs. As usual, Carter is battling with his usual optimism. The most remarkable aspect of the "American Experience" segment is how Carter has rebuilt his reputation and public image. He's been called the "most successful former president" in U.S. history. Carter parlayed his standing as the 39th president and his devout Christian faith to become involved in a number of causes around the world. The Carter Center in Atlanta has become active in monitoring elections in Third World countries; Carter has lent his reputation to try to settle disputes between nations; he has worked with Habitat for Humanity to build houses for poor people around the world. President Carter has done good work since leaving the Oval Office. It's not yet clear how much good work he'll be able to do, given the news of his recent diagnosis ... that and the fact that he is 90 years of age and has lived a longer post-presidential life than any president in U.S. history. His legacy remains a work in progress. 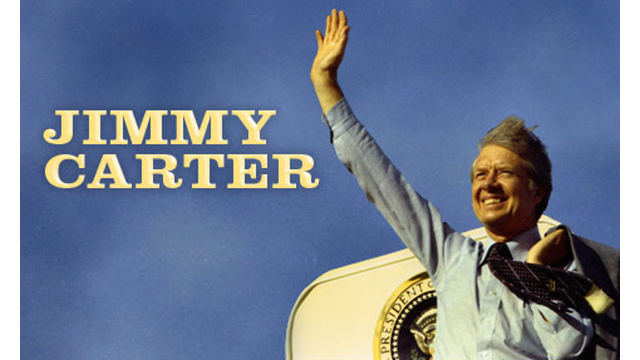 "American Experience" tells us how Jimmy Carter has done so far.